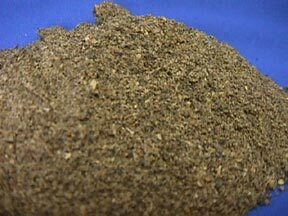 Feather-Meal (FM) is a by-product of the poultry processing industry, and contains up to 12% Nitrogen. It is a source of high slow releasing organic nitrogen fertilizer for your organic garden. It is not water soluble and would not make a good liquid fertilizer. Organic garden fertilizers are non-synthetic and non-petroleum chemical based naturally occurring substances used to make soil more fertile. The following organic garden fertilizers are available commercially. Organic garden fertilizers should only be used to supplement soil fertility and not as the sole source of your soil fertility program. Its important to supplement with organic fertilizers with compost and cover crops as your primary source of additional nutrients.